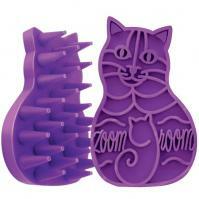 THE last cat "comb"� you will ever own! 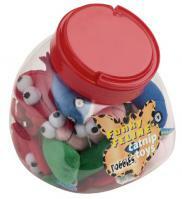 Every cat hair not swallowed is one less cat hair that comes up as a hairball on your bed at 3am. The Tool pushes through the topcoat and gently removes the undercoat and the loose hair without damaging or cutting the cats delicate skin. Available for Two Hair Lengths: Shorter than 2-inches, and Longer than 2-inches. Available for Two Cat Sizes: Under 10lbs, and Over 10lbs. 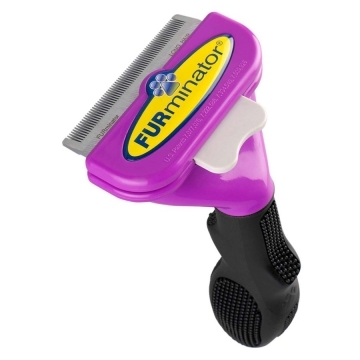 For more information on the Cat FURminator, Click Here!!!! 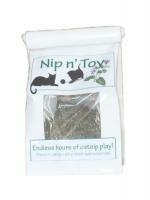 For long hair cats up to 10lbs. 1.75-inch deShedding edge designed for coats longer than 2-inches. 2.65-inch deShedding edge designed for coats longer than 2-inches. 1.75-inch deShedding edge designed for coats shorter than 2 inches. 2.65-inch deShedding edge designed for coats shorter than 2-inches.